The XB270HU is the QHD (quad HD) gaming dream from Acer. This monitor has all the features that any gamer might be looking for in a monitor but on the downside you do end up paying for it! In this package you get g-sync, 144 glorious refresh goodness and a stunning 1440 pixels x 2560 pixels to play with on screen. Last time I checked, this model was not available having been replaced by the new XB271 line. If you can pick it up for a knock down price then it might be worth a look, else I’d go for the newer model! If you are keen to tick off the main features that any gamer should want right now then this is a great option to consider. 1440, or QHD might not be quite as sharp as 4k, but it looks great on a 27″ panel. Many monitor connoisseurs would argue that this is a sweet spot for gamers. 1080 isn’t quite sharp enough once you start getting to the larger monitor screens and 4k costs too much right now. Not only are 4k monitors very expensive but you also have to buy some serious graphics cards to match with it, we’re talking 2x Nvidia GTX 980 Titans are needed to really enjoy that kind of resolution. Right now, if you are after a gaming monitor, it doesn’t get better than 1440p, 144Hz, G-Sync coupled with an IPS panel. Let’s look at the Acer in more detail. Note, there is also a cheaper TN based version of this monitor. The Acer XB270HU offers little surprises in its looks. Like others in the Acer range to date it is made of shiny black plastic, not exactly the most professional looking finish but I can’t imagine this is a key part of a gaming monitor purchase decision. A splash of orange colour on the base reminds us that this is a gaming monitor – those go faster stripes make all the difference! The bezel isn’t as thin as some competitors, but neither is it too obtrusive. Personally I don’t think the gloss finish helps minimise the visibility of the bezel, the reflections can be distracting but others hold the opposite view so that’s one you’ll have to consider for yourself. The stand is of good quality and solid. Just want us gamers want and that comes from someone who’s current monitor is on the wobbly side which is actually very distracting. If you’re spending this kind of money on a monitor you want the stand to be up to the job. You’d also expect it to be adjustable and the good news is that you have a range of adjustment options with this Acer monitor. You can slide it up and down, and if that is’t enough, you can tilt it and if you prefer a long tall screen then you can rotate it by 90 degrees into a vertical position – probably not ideal for gaming but at this price point you expect a little extra! The monitor only supports DisplayPort connectivity. This makes sense when you consider this is a QHD, G-Sync enabled monitor running at 144Hz. You simply don’t get that kind of bandwidth with a VGA connection! But if you are looking at this kind of monitor and want to push round all these pixles at 144 frames per second you’re going to have to be the owner of a decent graphics card already. Id say the GTX970 is a minimum, but to get the most out of it we’re looking at the GTX980 and beyond. Well it doesn’t get better than this right now. You get a 2560 x 1440 display, which looks great at 27″. You get G-Sync which ensures smooth delivery of frames to your monitor and, if your card is up to it, you get 144 frames displayed on your monitor every second! And you get all this with an IPS panel that ensures strong colour accuracy and wide viewing angles. The XB270HU features ULMB (ultra low motion blur), a technology that can’t be used at the same time as G-Sync but can have a dramatic effect on reducing motion blur. It works by flicking the back light on and offer in sync with the screen refresh which as the effect of lowering image persistence. In a way it mimics how CRTs used to work. Of course, all this comes at a price. 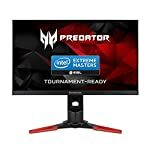 At the time of writing the competition for monitors with these features isn’t great and they’re attracting a premium. Is it worth the money? That’s for you decide. 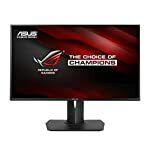 You might want to consider a cheaper 1080p setup, for a lot less money you can get a top range gaming monitor that will still look great. Or perhaps you might want to skip to 4k. The chances are your PC isn’t up to handling it right now but monitors are something you upgrade much less frequently. There is a good argument for getting the best you can and waiting for the rest of your hardware to catch up. We give the Acer XB270HU a 4 out of 5 rating. Want to know what existing owners of the monitor think? You can read real user reviews here. 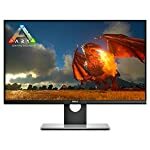 Should I buy the Acer XB270HU? A top line gaming screen from Acer, it's not cheap but it does the business. You may want to look at the newer XB271. If you are having some doubts about this purchase then why not read some real owner reviews and see what other buyers think. 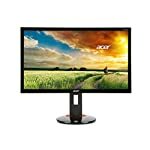 Welcome to the Acer XB270HU FAQ. This section attempts to answer common questions you may have, please get in touch if you have any more queries or if you think our answers need updating. 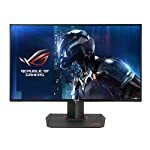 Is it much better than the Asus ROG Swift ? The ROG Swift has a TN panel so there are pros and cons. The TN is more response than IPS but the latter has better colours and viewing angles. That said, the weaknesses of both are improving. The Acer has one of the most responsive IPS panels to date. Does this have G-Sync out of the box? Yes it does. And technically, it has it in the box too! But seriously, just setup the monitor and get going. Note that you have to decide if you want G-Sync or ULMB, they don’t work at the same time. Does this include a full size display port lead? I guess it depends how you buy it, but yes, you should expect to get a DisplayPort cable with it. Have Acer fixed their QC problems? I read about backlight bleed and dead pixels?